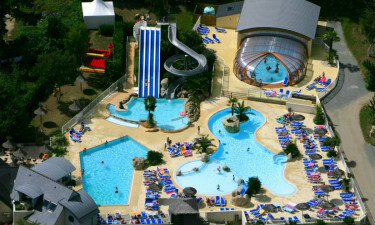 The luxurious Les Deux Fontaines campsite has something for everyone. 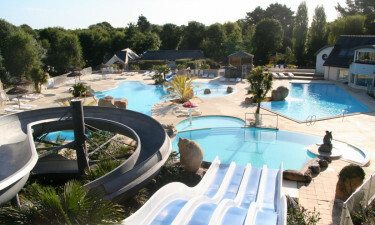 A lovely location in southern Brittany, Les Deux Fontaines luxury camping site in the coastal resort of Névez offers outstanding attractions for families, wide open spaces and fine sandy beaches. The water park has 4 main pools, a water slide with 3 chutes and s-curve, plus a toddler’s slide. A special pool for babies and toddlers allows them to play safely. Parents can swim laps in the heated indoor pool complex and unwind in the whirlpool bath or under the HydroMassage shower. There is ample terrace space around the pool with sun-loungers. If you ever dreamt of learning how to scuba dive, now you can. The Kids Club runs from July to August and is an ideal opportunity for 5-9 year olds to make friends and enjoy sports activities, games and treasure hunting. A kid’s disco is held twice a week, which for the convenience of parents takes place beside the bar! The playground has slides, swings, a skate park and an inflatable castle. For toddlers there is even a SoftPlay indoor area. At the Mini Farm, kids can meet goats, ducks and geese. For a small additional charge there are 30 minute accompanied pony rides on a special trail. 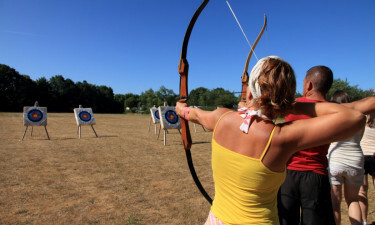 If you already know how to scuba dive, why not try archery? Football, basketball, volleyball, beach volleyball, tennis, a 6-hole golf course with driving range and fitness area are other options for staying healthy. Every Thursday, from July 9th to August 20th, a treasure hunt is held on-site, followed by a party at the Tahiti Bar. Firework displays take place on July 23rd, August 6th and 20th. Tahiti beach is just 900m away and is perfect for the whole family. 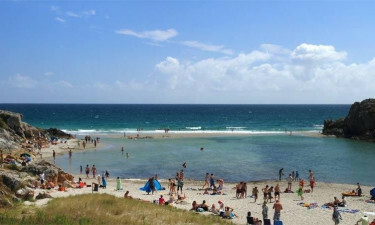 Other recommended destinations include Port Manec’h beach, Rospico cove and Dourveil beach. Two sailing schools at Port Manech offer lessons for all ages in windsurfing, canoeing, sailing and sea kayaking. Kids will love the tame animals at Quinquis Park and there are numerous pretty villages and historic towns to discover, such as Kerascoet with its thatched cottages. 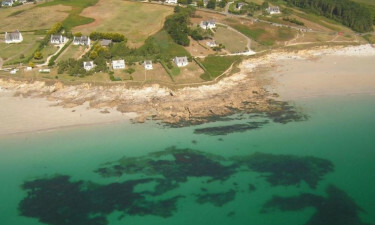 For great seafood, the fishing ports of Trévigon, Kerdruc and Port Manec’h are a must. The takeaway serves a wide range of regional and international dishes, plus tasty meals for kids. Relax and unwind on the terrace of the Tahiti bar. Start the day with a freshly baked baguette or croissants. At the well-stocked supermarket you will find all that you need for your luxury camping stay.